THE SKINNY: Color and paraben free, Mojito Lip Balm is hydrating lip gel that smells faintly like the mixed drink. It's clear. It's thin, which means it really doesn't last very long on my lips. It's just OK.
My biggest complaint is with the packaging. 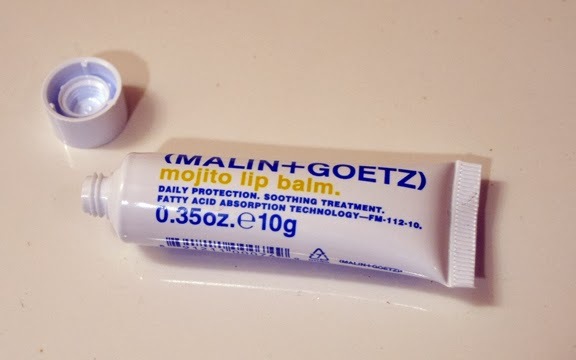 There's really no way to apply this product directly to your lips. Because it's thin, I always squirt out a little too much onto my finger, so I end up throwing a lot of it away. KEEP OR TOSS: Toss. It's too much work for too little gain.